Get a rare panda suit! Arriving on 6th June, Tomodachi Life is undoubtedly Nintendo's big hope for a viral hit on 3DS this coming Summer. The Mii-sim's goal is to draw you into its wacky world, exactly the sort of approach that can create buzz on social networks and achieve long-term sales. Nintendo is keen for plenty of gamers to at least try the title, of course, and just recently distributed Tomodachi Life: Move-In Version, a demo, to selected Platinum members of Club Nintendo in North America. Nintendo of Europe has now announced its own promotion to get game samples into the hands of 3DS / 2DS owners on the fence — Tomodachi Life: Welcome Version. In what could be a smart move, every retail copy of Tomodachi Life — either physical or eShop — will come with two codes for the Welcome version, which can then be distributed to friends, family or random people on the internet. These codes are redeemed on the eShop and introduce players to the game, with a rare panda item — also an unlockable in the main game — and transferable save data then tempting these players into a full purchase. An excerpt from the press release is below. Nintendo reveals that every full version of Tomodachi Life, launching on 6th June exclusively to Nintendo 3DS and 2DS, will come with two free download codes for the Tomodachi Life: Welcome Version for Nintendo eShop. 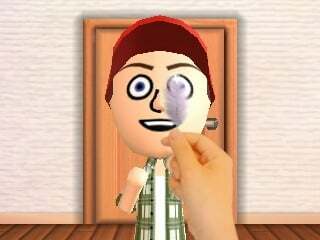 The Tomodachi Life: Welcome Version offers the chance to sample the unique slice of Tomodachi Life with friends or family that have a Nintendo 3DS or 2DS system. Two lucky friends or family members will be able to try their hand at creating Mii characters, all with their own unique voices and personality traits, and once the Mii characters have moved onto the island they will start to interact and players can try to solve their problems. When the Tomodachi Life: Welcome Version is completed, players can unlock a rare panda suit item, which can be worn in the full game which can be purchased at retail or on Nintendo eShop. ...Two download codes for Tomodachi Life: Welcome Version are included with every full version of Tomodachi Life, which allows you to invite two friends to download it onto their Nintendo 3DS and 2DS system for free from Nintendo eShop. The Tomodachi Life: Welcome Version enables your chosen friends to sample the beginning of Tomodachi Life, and allows the creation of up to three Mii characters, where the new voice settings and personality traits can be experienced. It will then be possible to explore the gameplay, such as feeding Mii characters and gifting items such as new interiors and clothing or performing in a group. If your friends like the taste of Tomodachi Life after completing the Tomodachi Life: Welcome Version, they can move all the residents of their newly-founded island to the full game which can be purchased on Nintendo eShop or at retail and keep their progress. In addition, players who complete the Tomodachi Life: Welcome Version can unlock a rare panda suit in one of eight colours to dress their Mii characters up with, and also use it in the full version. It's unclear whether a similar promotion will also be implemented outside of Europe — we'd expect it to be confirmed for Australia too — but we'll keep our eyes peeled. Are you planning to pick up Tomodachi Life, or hoping to grab a Welcome Version code off someone else? Let us know. @outburst Well, with MK8 the deal is better: with each copy you get a free game dude! Bit confused, do we get the panda suit if we have the full game but don't use the Welcome Version demo? A clever thought. I'm guessing the 'Welcome Version' is going to be larger than your standard demo to try and hook people. @shaneoh The panda suit is an unlockable in the main game, so you should get it eventually. Those that complete the Welcome Version get it that way, that's all. @AlexOlney I have to say that this idea makes no sense. It is just a demo that is limited to the people that know someone wit a full copy of the game. Why not just release a demo on eshop? Put an insert with the game that states that there is a demo for your friends to try out and that the data transfers over. In fact Nintendo should release the welcome version 1-2 weeks before the full game launches so that players can populate their island ready to go when the full game comes out. Throw in a few unlockable items that transfer over and they'd probably get more sales of the full title. Think of something similar to the Bravely Default demo, ie the best way to do a demo. Will give a copy to my niece. @Kiz3000 Supply and demand - if the demo is easy to get, people won't be as enticed to try and get it, but if their friend offers them a code to download it, suddenly its value is astronomically higher, they buy the game and the cycle continues. It's basically word of mouth 2.0. Genius on Nintendo's part. Can't wait to see Demo beggers come out when this game is released ! Or better yet, charging people ! @dwuuuu I doubt anybody will be paying money since it's a demo, besides if they're that desperate to spend money that might as well just buy the full game. This is pure genius, it will send sales skyrocketing. People will want the demo, not get it, and then just buy the real game. Those that get the demo will have a chance of buying it too. Great plan, bring it worldwide please! The only person I see on a regular basis who owns a 3DS is my brother, so one for him, and the other I'll either offer on Miiverse or here. This is a fantastic idea, though! I hope Nintendo tries this with other games! So wait I'm confused will copy's of Tomodachi Life in both NA and EU come with two demo codes to give away or just EU? @Dizzard you must have missed the post about the demo from club nintendo. It's nice to see Nintendo being generous with their games these days, with all the free games promotions they've been doing it's actually convinced me to buy the game! Having said that, I've got no one to give these demos too, so I'll offer them up here. Even if this 'Welcome' version is not for th U.S. I like the Idea. Sounds like the Move-In version that was given to certain Platinum members at Club Nintendo in America. @ikki5 No I didn't, I don't live in America. Or they won't get the demo and then won't buy it because they can't afford to buy games they're on the fence about. I have to wonder if a demo would be better. I'd rather we get welcome codes in America. Nintendo and other developers need to learn from Bravely Default's demo. It was a standalone experience that actually encouraged you to play the complete demo and rewarded you for buying the full game. Tomodachi Life would have been perfect for this approach. Nintendo should have let everyone populate their island with Miis and get settled into their "new life" for free, and then provide the option to transfer all the info into the full game. This turns me off a bit. I was one of the lucky platinum members who got the free demo. I thought the game looked uninteresting. I played the demo to completion (maybe an hour). I do not think I'll be picking it up based on the demo. A young child might enjoy it though. This is a good idea. its nice to actually market your products. I can't even post it to Miiverse yet. It's sort of a dumbed down Sims. The demo is short. You buy food at the store, feed it to the Miis. They either like it or don't. You can decorate their homes with premade designs, they ask you questions. You can customize their voices a little bit. There just wasn't much happening in the demo to me. I swear I have over 1.5k into AC:NL in the us yet no demo. Fail Nintendon't ! Hello. I would really appreciate a gift code if you have one left. Thank you. Hi! If anyone has an extra NA code they don't mind giving out, I'd really appreciate it! Thank you in advance.